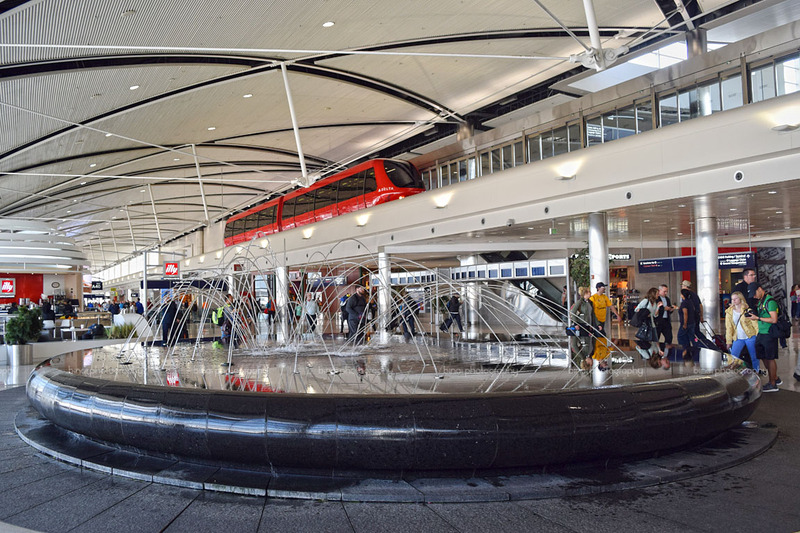 The decision to book Delta for my Rochester-Detroit flight was not easy. 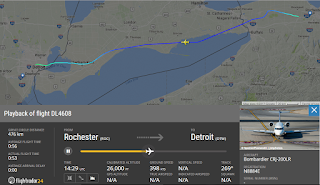 Delta (Connection) was the only airline flying non-stop from Rochester to Detroit, and they had multiple flights over the day. They were, however, not the cheapest. A quick search on multiple OTAs turned up multiple cheaper options from United and American. The difference was not very large. 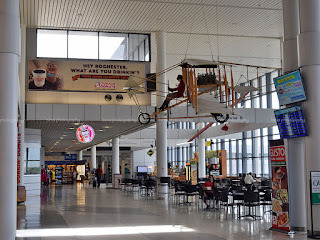 This left me thinking if I should take the risk of flying a connecting flight, or be done with a direct flight at a higher cost. 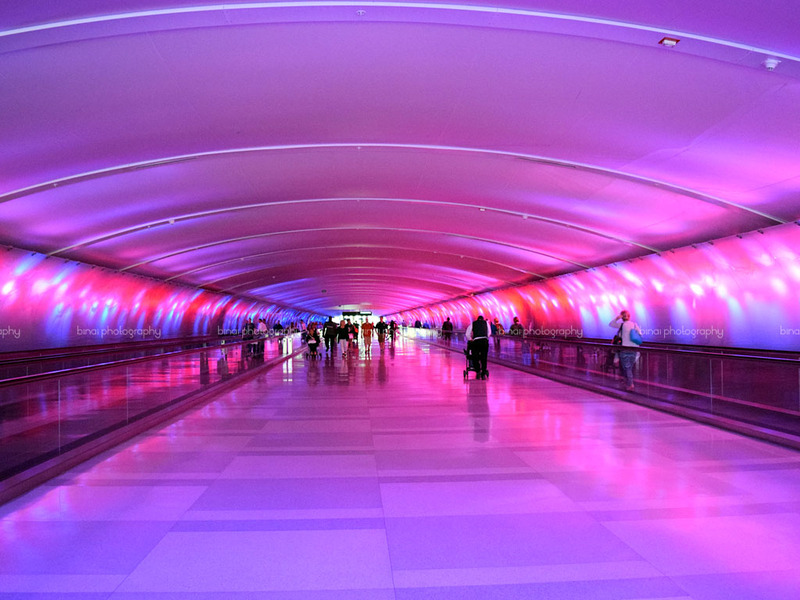 I did not want to get stuck in Detroit, and decided to book the direct flight instead. 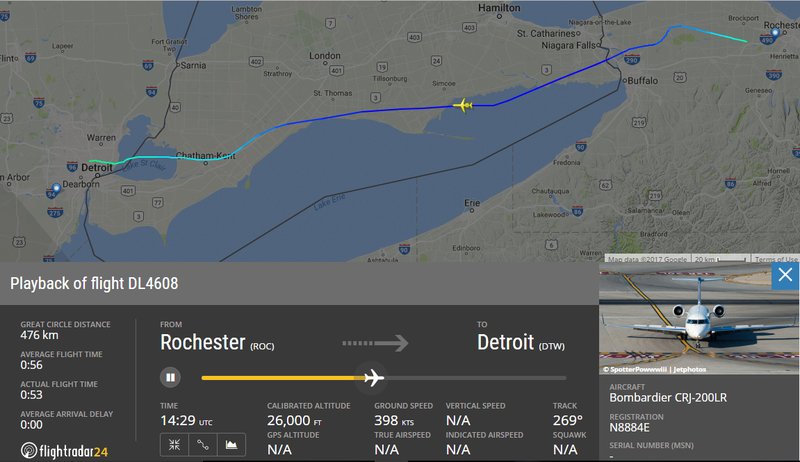 This flight would get me to Detroit with over 4 hours to spare for my connection. After having spent over a month in Rochester, and kind of adjusting to the place, it was not an easy task packing up. Some last minute purchases from Walmart added to the baggage, and I had to struggle a bit to pack all of it into the two bags I had with me. It was fun packing my bag - a lot of tricks went in to get all my stuff into the bags. I had a very early start to the day. My host had reached my place by around 0630hrs to pick me up. He had to drop me at the airport and then head to his practice site, and I was excited to spend some time spotting at the airport. I bid bye to my colleague, who was taking a later flight, and headed towards the airport. 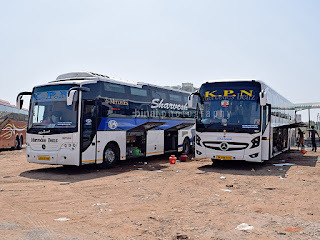 I was dropped there by 0650hrs, and I was at the check-in counter by 0655hrs. The jovial check-in agent quickly issued me a boarding pass, and collected cash towards the checked in bag fees. I was done by 0657hrs, and moved towards security check. There was a little bit of crowd at the security check - but lines moved quite fast. The area between the two concourses at Rochester.. I had mistakenly left a bigger pack of toothpaste inside, which the TSA agents did not let through. I was done with security check by 0711hrs, and I moved towards an empty table in the seating around between concourses A and B. 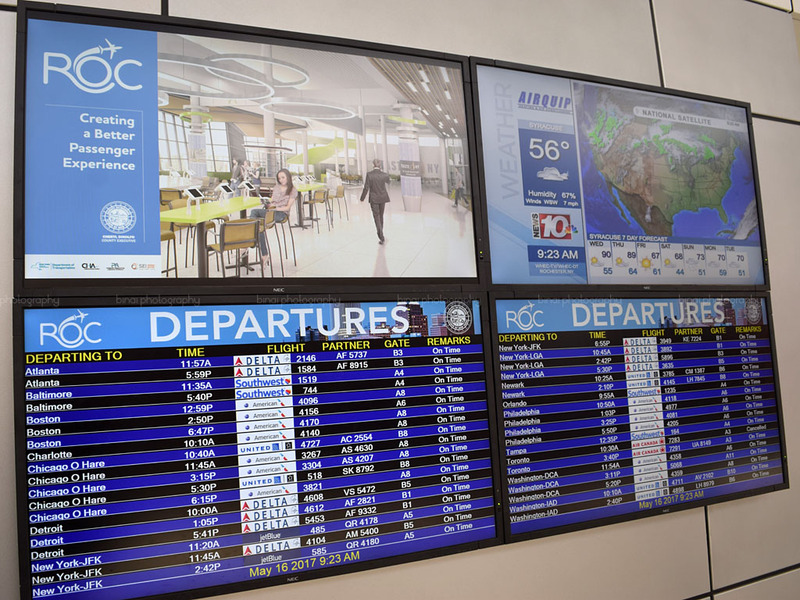 My fight was from Concourse B - but two hours away. I spent the next two hours spotting from my seat - there weren't a lot of movements though. I picked up a sub from Subway for my breakfast and washed it down with a coke. The incoming aircraft, N8884E, arrived by 0920hrs. 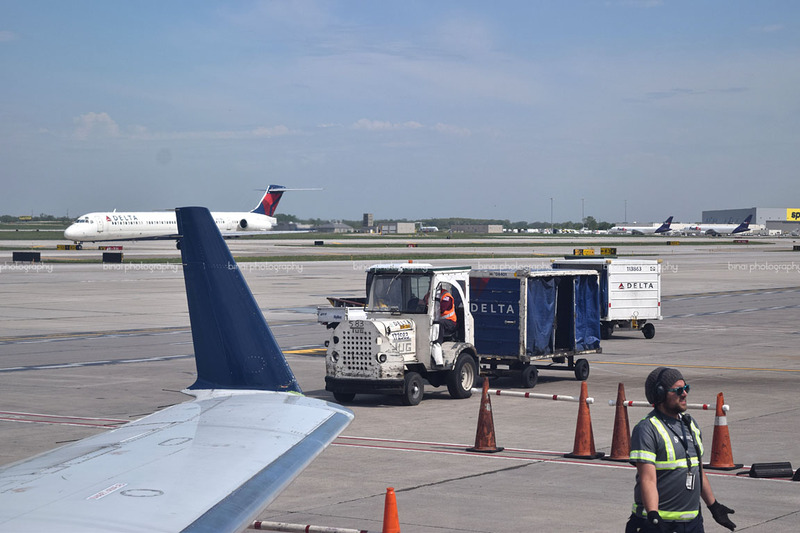 I headed to the gate after the incoming aircraft arrived and docked at the gate. The boarding gate, before boarding commenced..
My carry on receives its Gate check-in tag.. The first boarding call was made at 0931hrs - the usual sequence of elites first, followed by higher tiers of the FFP followed by the others was ensued here as well. 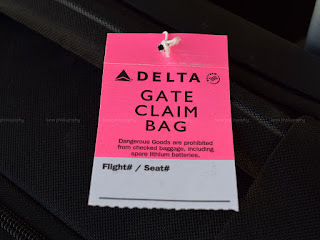 My carry-on was tagged as "Gate checked" baggage. I got into the aircraft by 0940hrs. 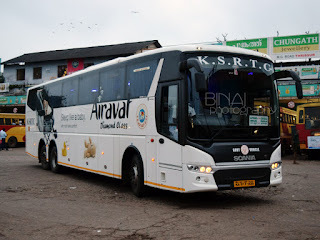 Boarding was completed by 0945hrs and doors were armed by 0949hrs. 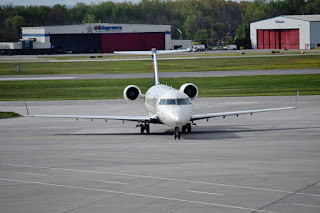 This was my first flight in a CRJ200 - the aircraft, N8884E, was originally delivered to Pinnacle Air in December 2003. 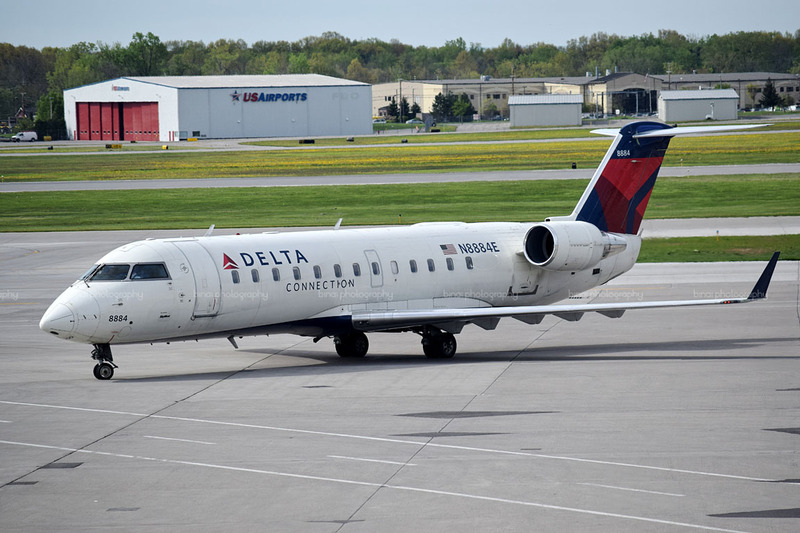 She changed hands and finally reached Skywest in January 2015. 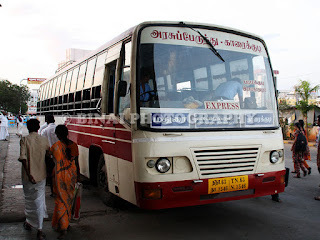 The interiors were in great shape and appeared quite well cared for. Welcome announcements were made, and Captain Alden Eye would fly us to Detroit that morning. Pushback was delayed for a while, and we got moving only by 0958hrs. We commenced taxi at 1001hrs, and headed straight towards the holding point of Runway 22, reaching there by 1005hrs. We took off from Runway 22 at 1006hrs, heading south-west, before setting flight to the west. My boarding pass, the safety card and the SKY magazine..
We climbed quite soon, and we flying over fairly thick cloud cover. 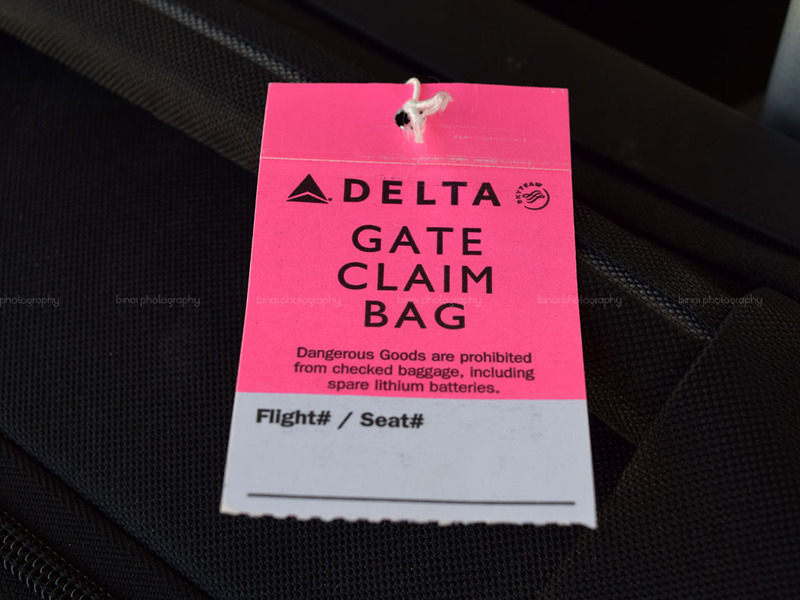 The seatbelt sign remained on for most of the flight, while the sole flight attendant on board started service soon after. A variety of beverages, mostly from the Coca-cola brand were on offer along with a choice of cookies or pretzels. 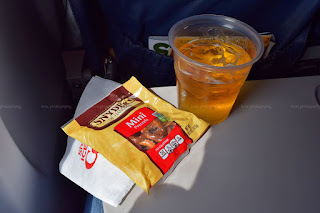 I opted for my usual Apple juice with a serving of pretzels. The seatbelt sign was turned off sometime around 1024hrs. The flight was largely uneventful - the sole FA disappeared to the galley soon after she served all passengers. The seatbelt sign was back at 1037hrs. 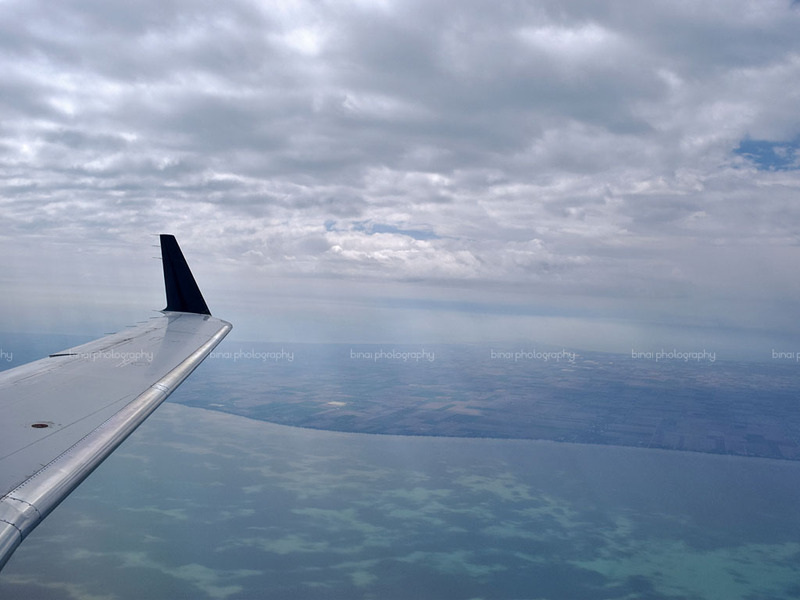 We were flying over London in Canada then - Lake Erie was in full view as we commenced descent. We were back over the US soon, and did a few turns to align to the land at Detroit. 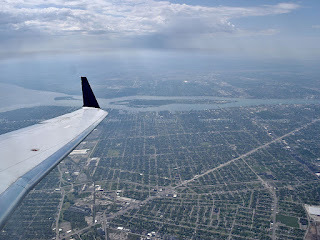 We finally touched down on runway 21L of Detroit by 1100hrs. That is Canada on the other side.. Lake Erie far away..
As we prepare to land in Detroit.. 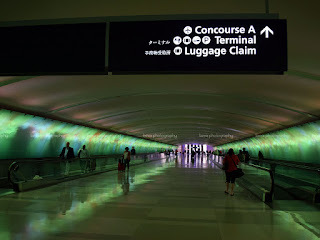 It was a long taxi to get to our gate, B6, located in Concourse B of McNamara Terminal in Detroit. We docked at our gate by 1105hrs. 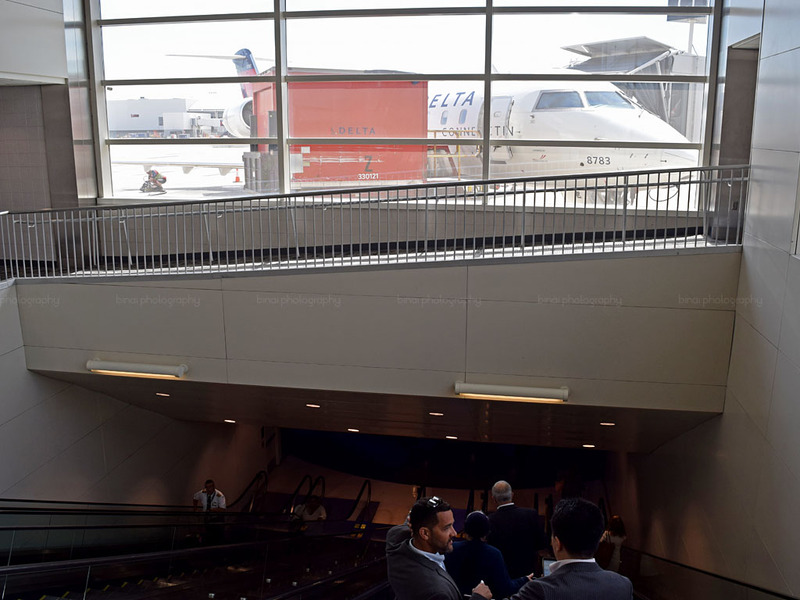 Soon after docking, an announcement was made that passengers with gate checked bags should wait for a while and let others deplane first. Deplaning started a little later, and I was outside by 1111hrs. For some reason, I am quite lucky about my bags, and like everytime, my bags were among the first to be delivered at the gate - I got my bag by 1115hrs, and headed towards the terminal. 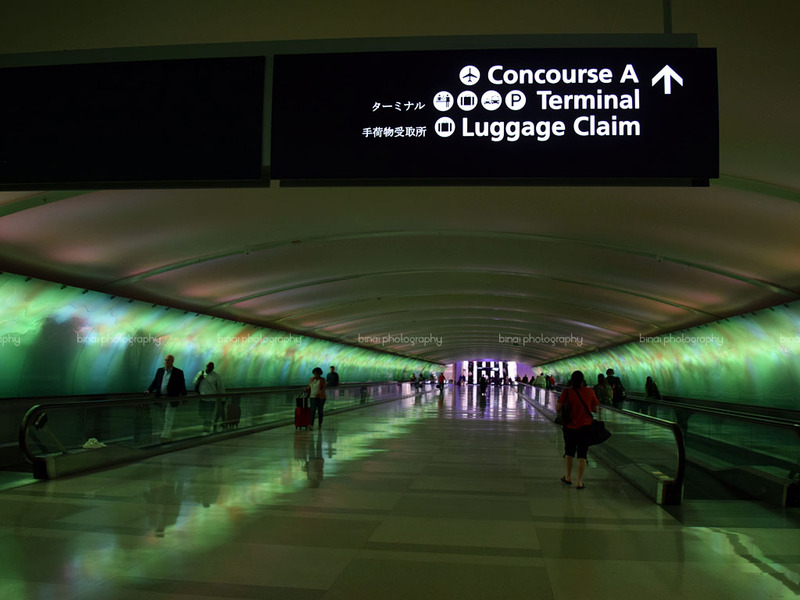 It was one long walk to concourse A, where the baggage reclaim was located. The musical tunnel was an experience - the music began playing only as I reached the end of the tunnel. 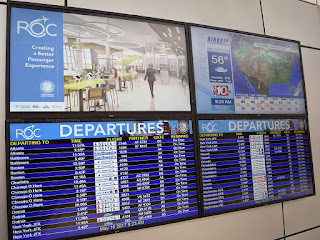 I spent some time clicking some pictures of the terminal - the McNamara terminal was interesting. There was an express tram inside the terminal. 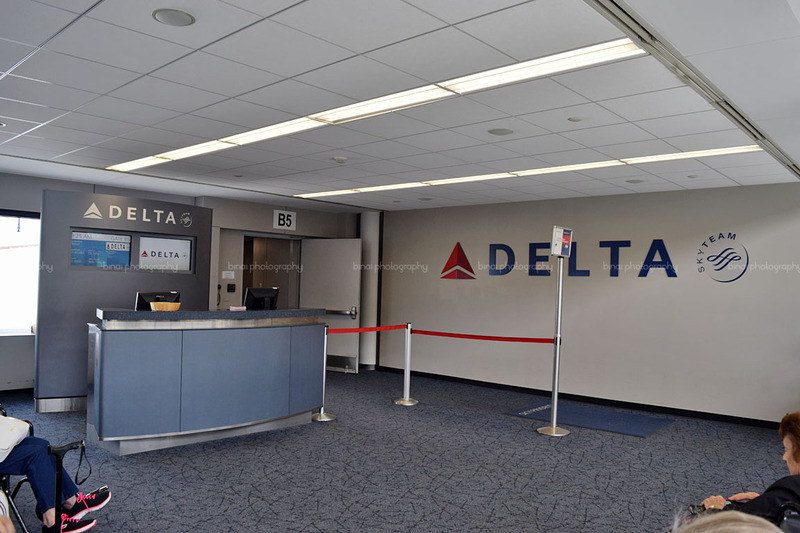 The McNamara terminal is used solely by Delta and its affiliates. 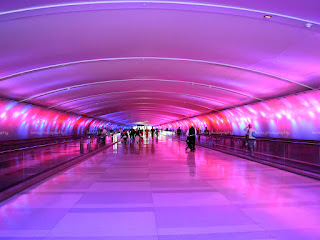 After some pictures, I headed to the baggage claim, located at the ground level. All bags were already out, and I saw my bag on the conveyor as I reached there. 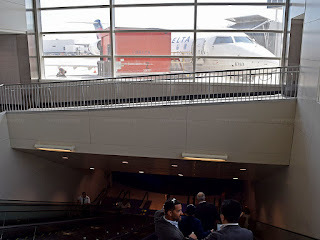 I got my bag by 1129hrs, and walked out of the airport, heading straight to the ground transportation terminal located in the parking building, to take a free interterminal shuttle to the North Terminal, from where my flight to Frankfurt would depart. 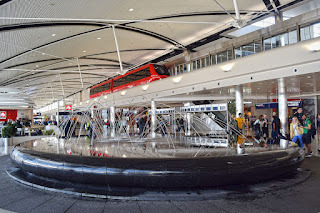 The musical tunnel, before the music was turned on..
A fountain, and the express tram in Concourse-A.. Catering: Irrelevant - its just a glass of juice and a snack packet! 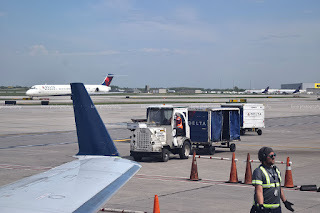 This was my first flight on Delta, the second on a CRJ family aircraft and the first on a CRJ200 aircraft. 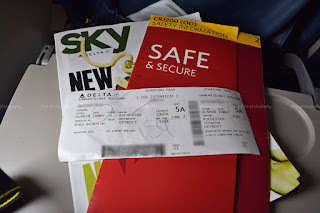 This was my fourth domestic flight in the US - a no-nonsense flight as well. 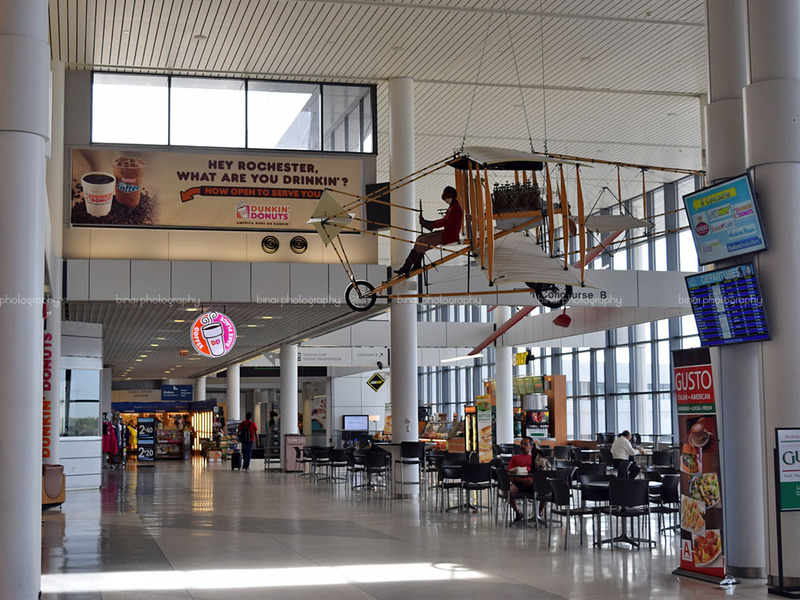 My experience with the TSA at Rochester was very pleasant. The officers were very polite and they did their job with a smile. 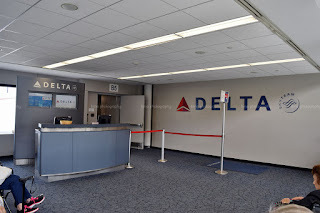 My experience with the gate agents was great as well - the agent tagged my bag with a smile, and even advised me to put my camera bag inside my backpack to avoid being charged for having three carry-on bags. The flight in itself was a good experience - a safe flight from A to B. 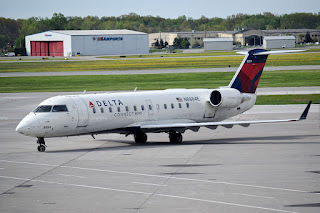 The flight was operated by SkyWest Airlines, for Delta Connection. Overall, a no-nonsense flight. Washington DC to New York on Megabus!